:: Bed and Breakfast in 3*, 4* or 5* accommodation. :: Exclusive services of expert Tour Guide and qualified Egyptologist. :: All local transfers in Egypt - e.g. airport, train stations etc. :: Private transport to and from sites of antiquities, museums etc. :: Entry fees to sites of antiquities, museums etc, as listed below. :: Return flights from UK. 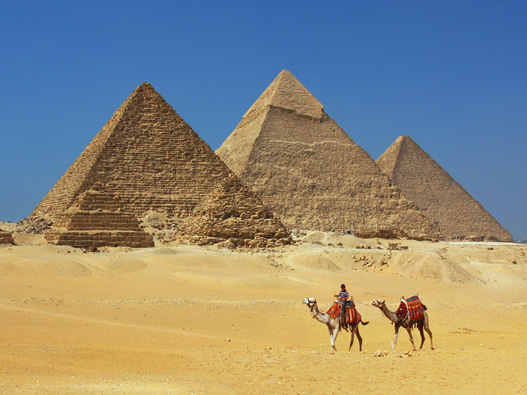 The Pyramids are located just outside Cairo on the Giza Plateau. 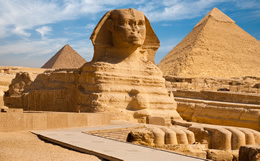 This area of Ancient Monuments include the Pyramids a worker's village, Tombs of the Nobles and the Great Sphinx. The Egyptian Museum in Cairo contains the world's most extensive collection of pharaonic antiquities; no visit to Egypt is complete without a trip through its galleries. Started by Saladin in 1176 as a fortification against the Crusaders, the Citadel sprawls over a limestone spur on the eastern edge of Cairo and was home to Egypt’s rulers for 700 years. We are delighted to suggest a number of Tours and Excursions that might be of interest to you. If there is something you would particularly like to see or place you would like to visit which is not shown below, please let us know in the "Additional Comments" section on the Enquiry Form and we will be pleased to send you details. :: Arrival and Check-in at hotel. :: Your room will be prepared ready for your arrival where you may freshen up before retiring to bed or spend a little time exploring your locality (depending upon timing of flights and your arrival). :: Enjoy a leisurely morning in your hotel and surrounding area where you will have time to prepare for your first visit. :: Pyramids of Khufu, Khafra and Menkaura. :: The Great Sphinx and the Sphinx and Valley Temple of Khafra. :: Tombs of the Nobles. 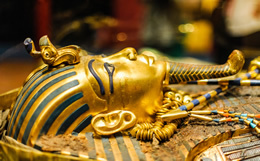 :: Visit to the Egyptian Museum - A guided tour of the museum that leads you through the wealth of treasures from the Old, Middle and New kingdoms and where you will discover for yourself the treasures of Tutankhamen. 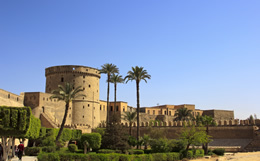 :: With the assistance of your guide, explore The Citadel - Stronghold of Saladin and the Mosque of Mohamed Ali. 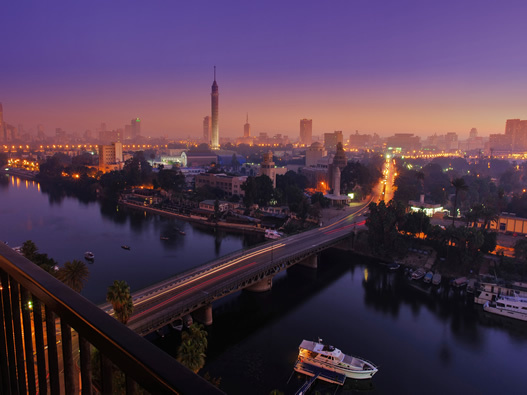 :: Sit back and enjoy a tour of the busy Cairo metropolis. 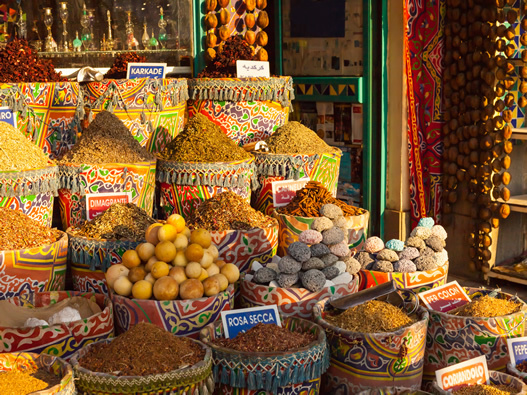 As your driver skillfully negotiates the busy Cairo traffic, your guide will provide you with a wealth of information on the places of interest, both ancient and modern. :: Opportunity to buy souveniers and for some last minute shopping. :: Airport and onward journey home.